It is taking me quite a time to decide the best way to moderately start the review of this game. Not because it has a lot to talk about, but because it is not even worth the graphics they have put up. 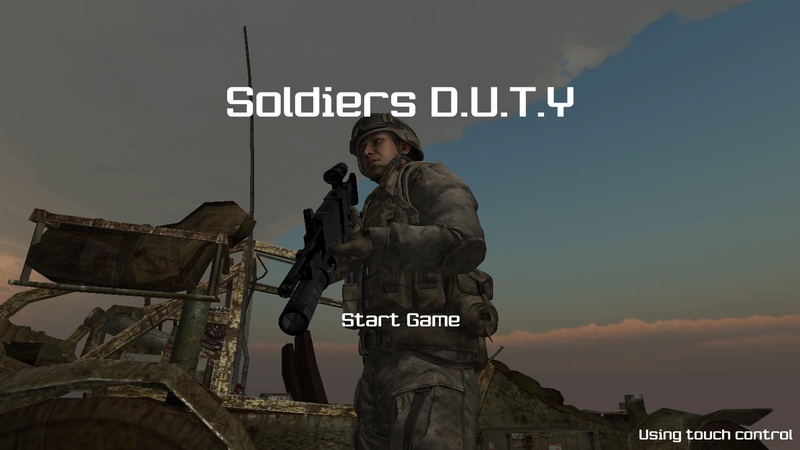 Soldiers DUTY looks more like a college project which has been published on Windows store. 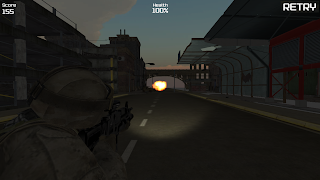 Play with touch controls or with keyboard or mouse, the game is not worth to even try! There is your single character standing on bridge after you vehicles got destroyed by the enemies. You are with a gun in complete military uniform. There are jeeps which have been infected some virus and trying to get past the bridge. Your aim is to stop these vehicles from crossing the bridge and defend your position. To stop them you have to hit them with 5 bullets on which their jeep blows up. There is a continuous stream of jeeps trying to come in and for each hit on the bullet you get one point. You have 100 life which will get reduced by 5 every time a car is able to cross you. 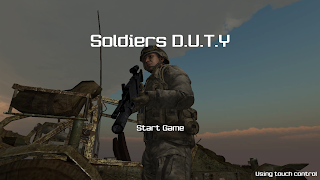 Soldiers D.U.T.Y is not a game worth even trying. It would have been better if the developer had rather sold off the game as an academic project.